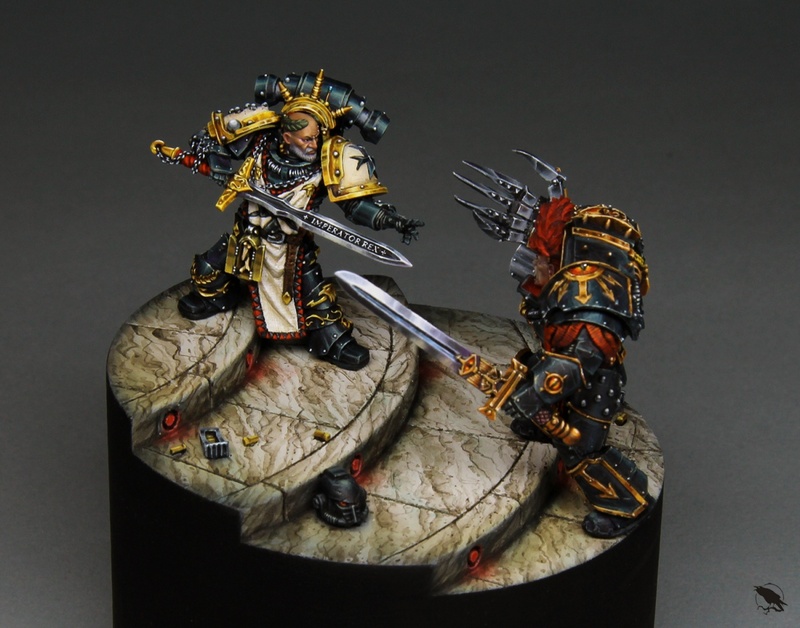 The main idea for this duel was the scene from the Aaron Dembski-Bowden novel "The Black Legion"
After reading the novel, I also found many a few allusions to the duel of Horus and the Emperor and decided to implement them. So the idea of the base only remotely resembles the Sigismund's throne room on the "Eternal Crusader", but much more like the throne room of Horus on "Vengeful Spirit" from the illustration of Adrian Smith (Horus vs Emperor) 2004. 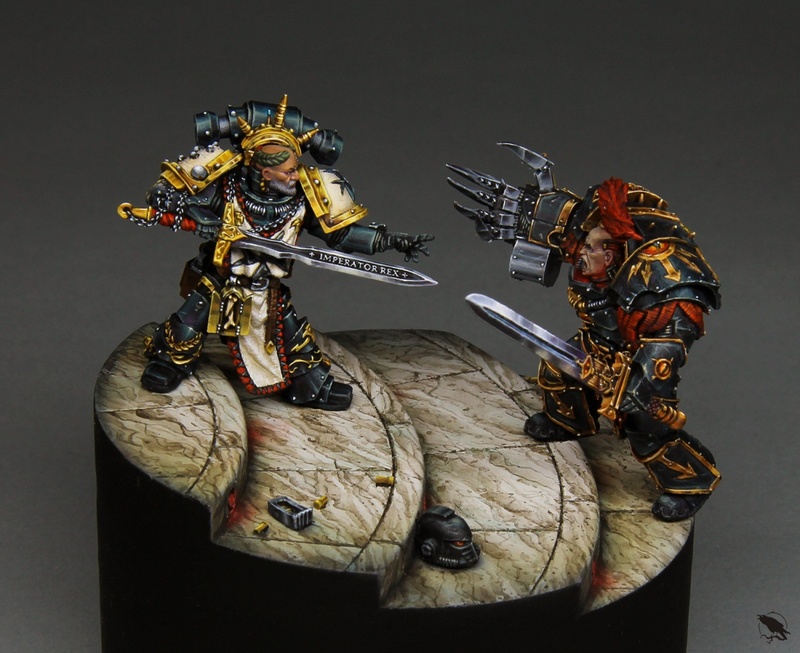 But the position of the miniatures on the base is closer to illustration's classical variant of 1990. 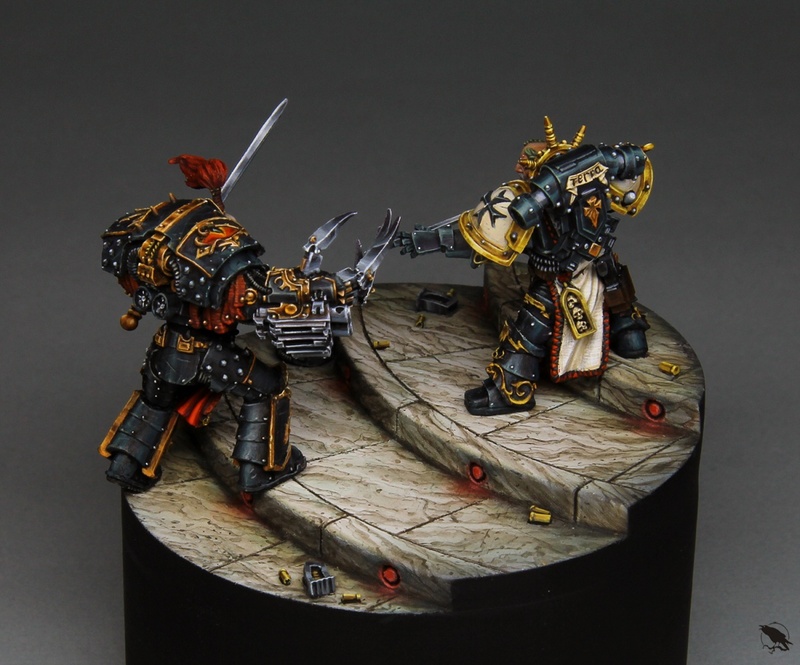 In order to translate my idea, I had to convert both models, especially Sigismund. I changed the position of his legs and made a new lower part of the tabbard in order to adapt the miniature to the desired scene. 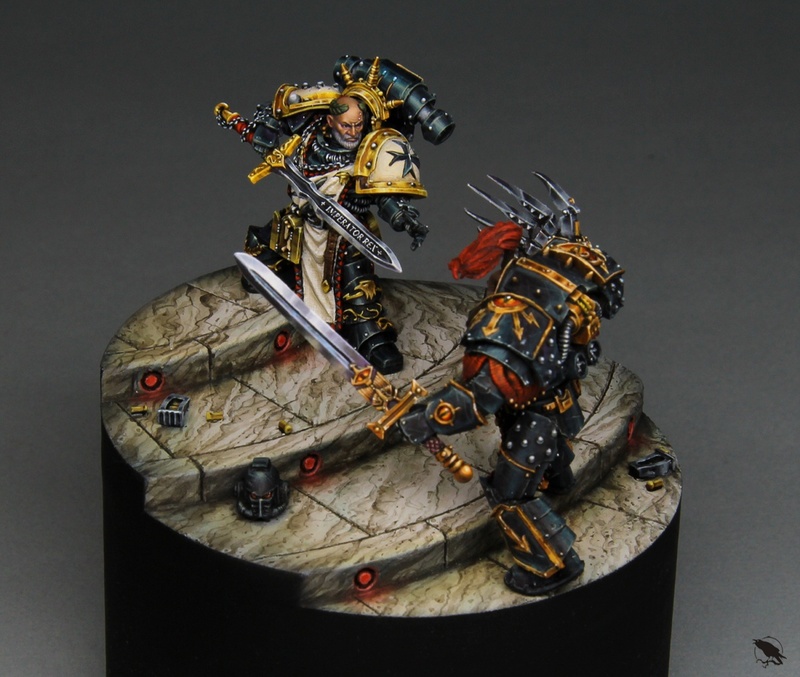 I also needed to change the visual component of Sigismund, to remove it from the original model of the Heresy times. Since the Black Templars are much more similar to the knightly medieval orders, I blinded Sigismund's belt and added a couple of relics. In addition, I replaced the head with a more suitable one. 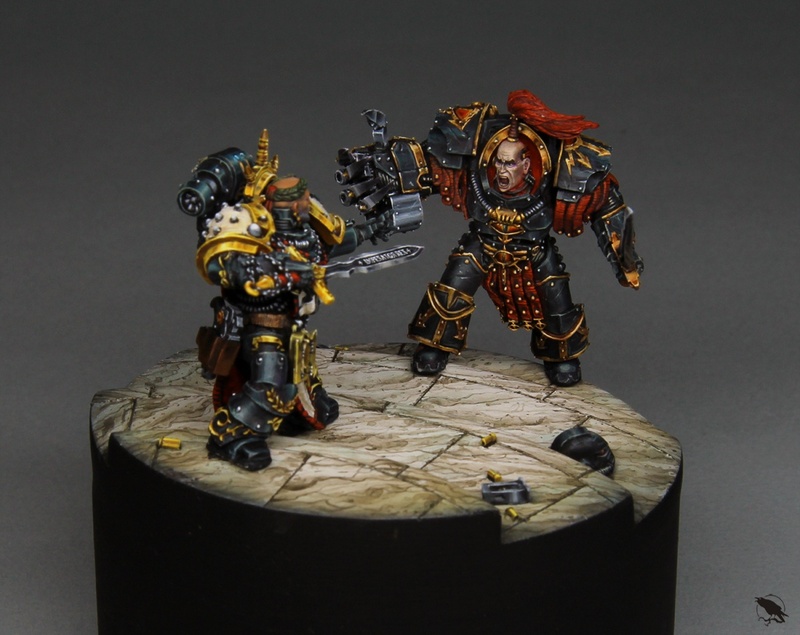 Abaddon's conversion consisted in changing the position of the hands and adding the Talon of Horus from the eponymous miniature. In addition, minor changes in the decoration of the armor were made. One of my favourite pieces from the last GD. You have all my admiration and attention. Keep Sharing!